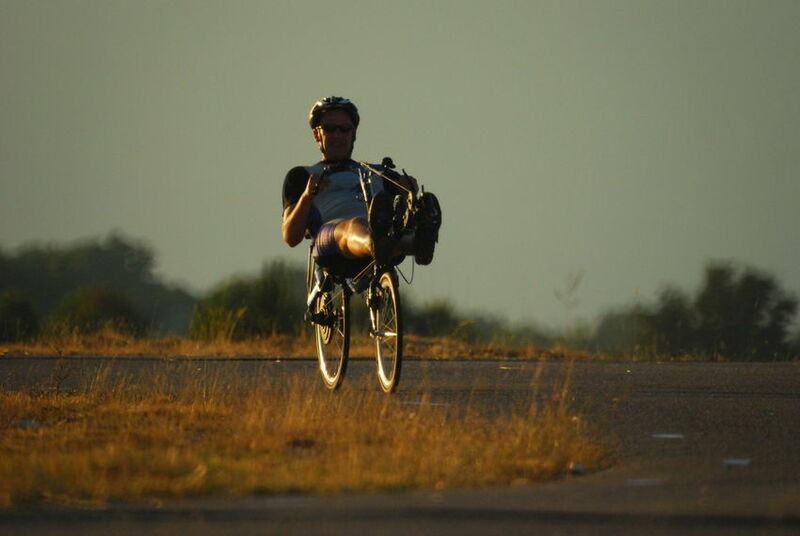 Riding a rowingbike: a sensational experience! You can't think of a better way to use your muscles, than on a Rowingbike. Considering this fact, in 1986 the concept of the Thys Rowingbike was born. Today, the Rowingbike has developed into the ultimate fitness machine, full of well-considered and new technology. 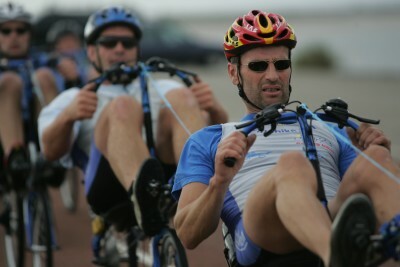 Riding a THYS Rowingbike is the ultimate sport in which you use virtually every muscle in your body. Both your legs and arms are being used for the propulsion of this remarkable bike: while pushing the pedals, you pull the handlebar towards you. This effective way using your muscles, in combination with superb aerodynamic qualities, makes the THYS Rowingbike a perfect fitness device and an efficient means of transportation. 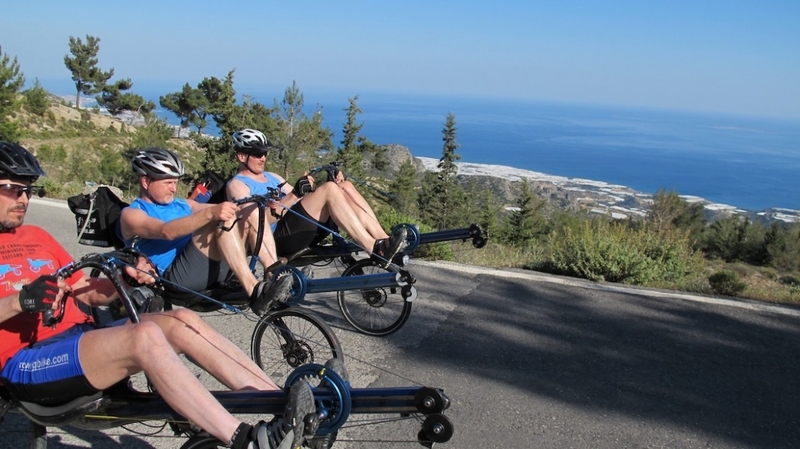 Want to get to know the rowingbike? That's possible: make an appointment for a test ride in Middelburg and experience in person the fun of riding a rowingbike.